The lovely people at First Fold records have started a monthly eclectic club night of live music, DJs and visuals in Birmingham. 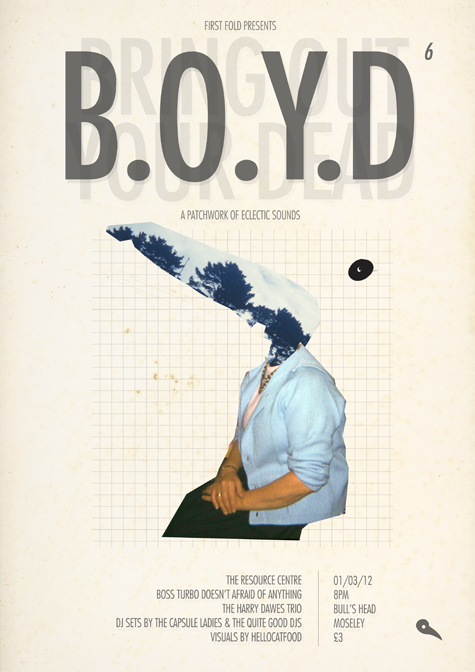 The next BOYD takes place tomorrow, Thursday 1st March at Bull’s Head in Moseley. It’ll be a particular good one (I’m sure they’ll agree) as Capsule’s Lisa will be your DJ for the night. Any requests for Slayer gratefully received. and visuals come from Hellocatfood and Leon Trimble.